Apple’s continuous software cycle is now at iOS 11.2 bring expected upgrades, fixes, features to the user. The firmware signs for all 64-bit devices as the successor to iOS 11.1 and iOS 11.1.1 bringing functionalities like Airplay 2 back in the users’ hand. So do you agree if I say, it is worth upgrading 11.2 on iPhone, iPad and iPod Touch? But will that be same for anyone in need of Jailbreak iOS 11.2? Let us look at the facts around iOS 11.2, features, downloads and jailbreak in orderly. As stated in the introductory paragraph, the update iOS 11.2 is available for all the 64-bit devices. And as the second major upgrade following the original 11.0 release more than a month back, we here find some interesting additions to the user. So in order to make your decision on upgrade or not easier, this is about iOS 11.2 Features. Just as always, Apple here attempts bringing the most required upgrades and changes to iOS 11.2. So let us now see what are they taking all them with a respective description for each. You meet the feature at WWDC 2017 back in June. So from there, this was one of the awaiting features Apple was requested to bring upon the user. And finally, it is now with iOS 11.2 which easily lets you take the control of audio output of multiple devices that linked from your iPhone, iPad or iPod. You can easily operate the functionality through the Now Playing widget from the Control center once discovered the available devices. If you have an Apple TV, this would worth having a try. In fact, it lets you play different media from each connected device individually. And we expect the feature support for the Homepod soon up in the future. As one of the biggest fixes, iOS 11.2 comes addressing the calculator latency bug. So there is no more matter in tallying up 1 + 2 + 3 as it now comes as 6 with no trouble at all. With iOS 11.2 Download, older iPhone 7 users can enjoy iPhone 8-exclusive wallpapers. So if you care more about the way it looks and feels, the upgrade must be tried for new wallpapers. However, this does not give support for iPhone 6S or lower models. With the upgrade 11.2, you will find the Now Playing Widget from the Control center in a complete Album art feel. 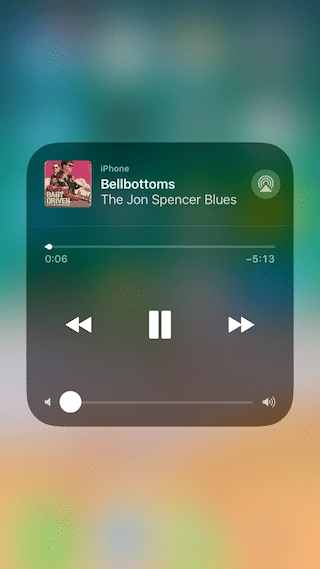 In fact, the widget from the Control Center is now coming with squared album art instead of the rounded corners you were familiar this far. From the latest 11.2, we find another change with locking the device. So when you double-click the side button, it will no longer lock the device. If you remember, iOS 11.1 was a huge upgrade to Emojis which has given us more than 50 Emojis to turn our conversations much interesting. 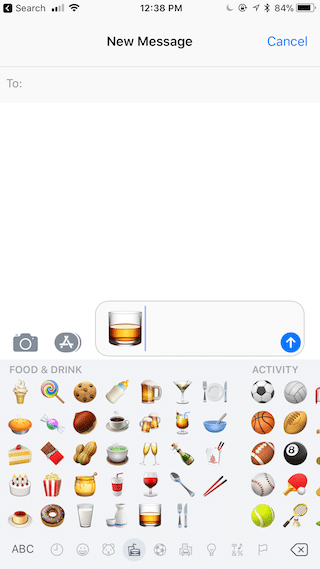 And with 11.2, we meet subtle changes to Emojis like Whiskey glass, Camera as an additional change. There are also some changes in the arrangement of the Emojis if you take a look closer. In the latest 11.2, we find animation changes in swipe to view the Photos app. And in the side of icons, we see a little change to the Camera app from the Message app. As Always, Apple focuses bringing updated performance and stability with every new firmware. So with no difference, in iOS 11.2, you will meet improved work frame and stability than the previous. iOS 11.2 beta 2 is now open to developers and public testers. When the times, iOS 11.2 beta 2 is only for developers testing, there was nothing more than three new live wallpapers for iPhone X. But with the upgrade to public testers, we see Apple Pay Cash feature, which was in testing for a considerable time. So those who are part of the testing program by Apple, these are accessible over the air. What is New About Jailbreak iOS 11.2? When talking about all upgrades iOS 11.2 take with it, one would question, why the need for Jailbreak iOS 11.2? But if you know what it means by Download Cydia on iPhone, iPad, and iPod, you will definitely be a part of the story. But sadly, there is currently no way to jailbreak any version from 10.2 including iOS 11.2. As of now, we have met iOS 11 jailbreak possibilities in several instances. The most recent one comes to the view a few days back showing iOS 11.1.1 jailbreak on iPhone X latest. So there, all thanks should share with the developer Liang Cheng who has exposed the demonstration at the security conference held in Seoul, South Korea. On the way expecting Jailbreak iOS 11.2, we meet various people and incidents. But as none of them are yet in the state of a public release, they all require us for a wait. So in that way, Todesco’s WebKit exploit, Liang Cheng’s iPhone X jailbreak and etc are just with the aim of proving the possibilities rather than forge ahead for any public jailbreak solutions. Then for the moment, we are unanswerable for the need of iOS 11.2 jailbreak. But we invite you to stay signed to know how long this will remain untouched. 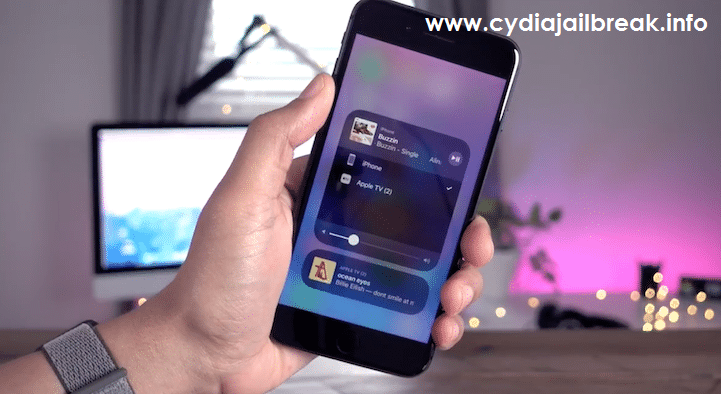 Why should one need Cydia Download for iOS 11.2? The need of Cydia Download comes when one feels not satisfied with the provided stock frame features. So if anyone in need of more customization, installing Cydia apps and tweaks, move further system settings and more, it is definitely the need of jailbreak. So simply, jailbreak makes you free from the stock limitations making you aware how powerfully you can take admin control of the root rights. But Cydia only allowed through jailbreak for which you cannot pass the line until the developer’s call. So in considering the current state, we are yet unknown when Jailbreak iOS 11.2 will turn bringing Cydia possibilities. 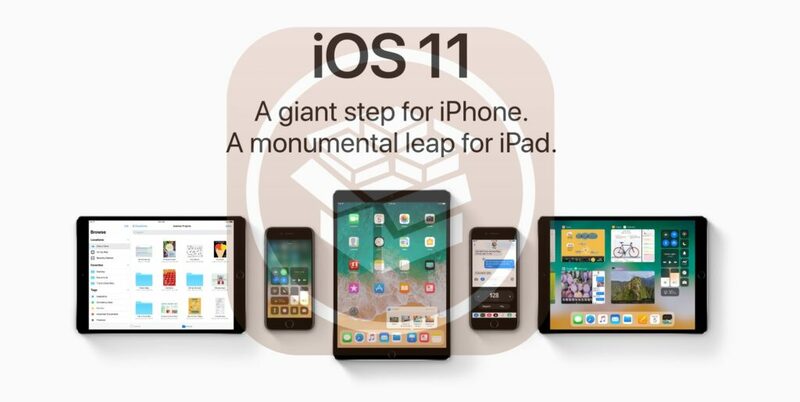 But do not regret upon upgrading 11.2 as there are a number of changes you could enjoy until there is an update to jailbreak. So stay signed to get all the news.